I'm happy to announce that another comprehensive exhibit, which will feature a selection of over 40 original pieces has now an official opening date. 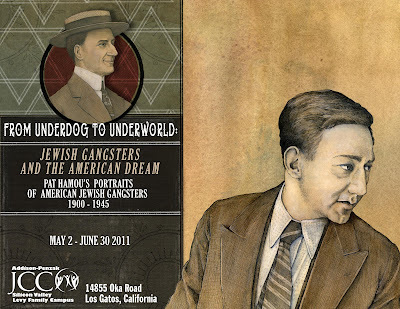 From Underdog to Underworld: Jewish Gangsters and the American Dream is third curated title, following Real Machers in Washington, DC (2009) and Wise Guys: Mobsters In the Mispacha last year in San Francisco. This exhibit will be held at the Addison - Penzak JCC Levy Family Campus in Los Gatos, California - which is nestled in the Silicon Valley about 90 minutes out side of San Francisco. The exhibit dates are from May 2 - June 30 2011. There will be a selection of new portraits that I've added for this show and I will update with more details as I have them in the near future. My thanks to Lisa Ceile - curator and coordinator for her help in getting this show together. I haven't seen you in ages - nice to see what you are up to, very cool! 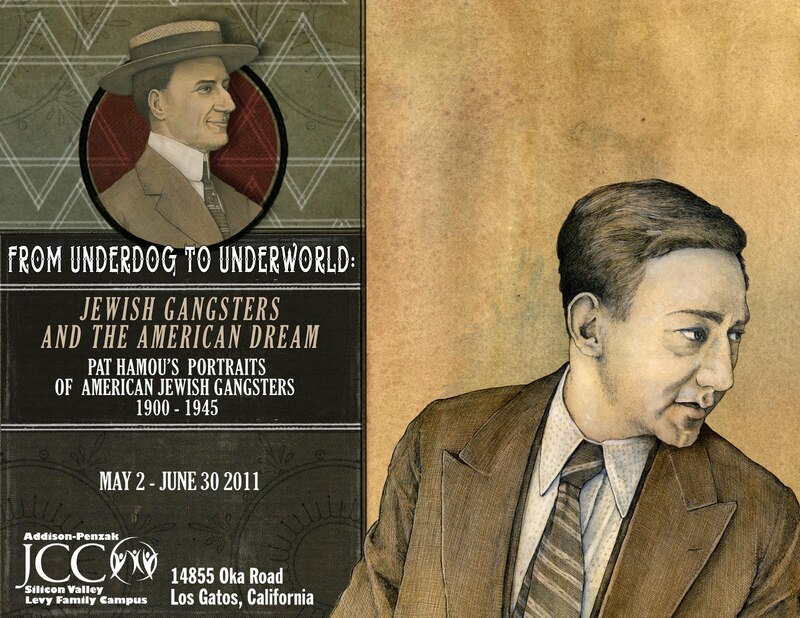 The subject of Jewish gangsters seems to be an interesting one - my brother-in-law wrote his PhD dissertation on Jewish gangsters in Russia. He's turned it into a book: City of Rogues and Schnorrers, Russia's Jews and the Myth of Old Odessa.